Please fill out the form below to contact us via email or feel free to call us at 217.224.3515. You can stop by to see us at 615 Hampshire in Quincy, Illinois. We would love to hear what you have to say! 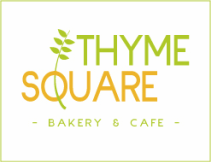 We would be happy to answer any questions on private parties hosted at Thyme Square Café or catering services. Please fill out the form below and let us know what you are looking for so we can promptly get back to you.